Over the last five years Sylva Foundation has been collaborating with departments at the University of Oxford to create a marketplace for ecosystem services. The Naturetrade project was funded by the EU’s Life programme. The project has now come to a close and the project consortium is keen to hear from current and potential users about the online marketplace. Please read on to find out more and how to take the survey. We are now ready to test it on a wider audience of land managers and businesses with an interest in supporting sustainability. Your feedback on the mapping tool will be of help to us in developing ideas to take this forward from a demonstration project to a useable tool that will help supplement finance schemes aimed at preventing the loss of ecologically-diverse land in Europe. We have prepared a very short survey that is split into two parts: (a) questions to establish what your relationship to land management in Europe is; and (b) feedback on the tool. We invite you to test the mapping capability of NaturEtrade and its potential to assess the ecosystem services of your land, or to test the possibility of finding land on the system that you can sponsor via a contract for maintaining ecosystem services. Two small caveats: we demonstrate how money can be exchanged via contracts to maintain ecosystem services, but no monetary transactions are being processed during this demonstration phase; and land parcels already published on the demonstration site are either taken directly from the UK Land Registry or have been hand-drawn in workshops. We do not own these properties. NaturEtrade is web-based mapping tool that demonstrates a novel approach to the problem of supporting environmentally-sensitive land stewardship practices in Europe. Land managers can easily and rapidly assess the ecosystem services provided by their land, and then “trade” these services in contracts with businesses who have an interest in supporting sustainable land management. Land managers are very familiar with Government grants that help them conserve important biological and cultural features of their land, but very little is known about how non-Government incentive schemes might work in practice. This innovative project demonstrates how landowners and businesses in European countries can utilise the tools and technologies we have developed to trade in the commodity ‘ecosystem services’. In our project, the term ‘trade’ may be understood to mean ‘sponsor’ as no property changes hands, but a commitment to maintain the ecosystem services of land registered on NaturEtrade is set up by mutual agreement between two parties. Working with stakeholders in four different European countries over the last five years, the project has developed a set of tools and technologies that bridges the gap between academic research and policy on ecosystem service provision. The project has been funded by the EU’s LIFE+ programme. Actions to address significant gaps in forestry policy, research and practice are necessary to deal with the unprecedented pace and scale of environmental change, say forestry organisations launching a new action plan today at APF Exhibition, the UK’s largest forestry show. Climate change is threatening the health of trees and woods and requires a co-ordinated response to help them adapt and become resilient to its current and projected impacts. A significant group of public and private organisations have identified 13 priority actions and pledged to work together on them over the next five years. 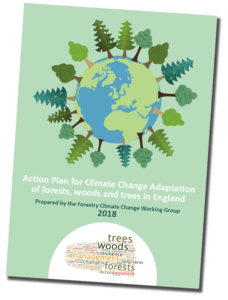 The “Action plan for climate change adaptation of forests, woods and trees in England” was prepared by the Forestry Climate Change Working Group (FCCWG), which represented the 35 organisations who signed a Forestry Climate Change Accord in 2015. Sylva Foundation took a lead role in supporting the creation of the Climate Change Accord, later running workshops which helped to develop the action plan, and then the drafting of the plan itself. Much of the evidence for the action plan arose from recent British Woodland Surveys, particularly BWS2015, which rely on the goodwill of thousands of private woodland owners, foresters and businesses, who shared information about their awareness, actions, and aspirations. The 13 priority actions address major gaps in current forestry policy, research and practice and are the result of a rigorous process of consultation carried out over the last three years, and are consistent with Defra’s Tree Health Resilience Strategy published earlier this year. The plan also recognises that, in the face of climate change, many traditional forest and woodland management practices need to be revised. Some of the gaps identified include: lack of woodland management by owners; insufficient diversity of planting stock from nurseries; limited uptake of silvicultural practices which limit risk; and, the need for better education and information. “So much of our work at Sylva is about creating and using evidence to help others make wise decisions about the future of our trees and woodlands. At a strategic level, little of this counts unless there is significant agreement among all stakeholders about what actions should be taken and by who. It has been a privilege to have supported, and witnessed, the coming together of the forestry sector in such an unprecedented way. We hope the resulting action plan will support positive change in policy, practice, and research over the coming five years and beyond. We’ve been delighted with the response over the summer months to the 2017 British Woodlands Survey. So far more than 1,600 woodland owners, agents, foresters, forest school practitioners, and forestry and wood businesses have taken part in the national web-based survey. Devolution, pests & pathogens, Brexit, emerging markets, climate change, societal attitudes . . . these are just some of the momentous factors influencing our trees and woodlands, those who care for them, and those who rely on their products and services. Have your say about what these and other issues mean to you by taking part in Britain’s only dedicated national survey about our woodlands and forestry. This year we have unprecedented interest from policy makers, national organisations, research commissioners and others. Make sure your voice counts! It’s not too late to take part. The survey closes to responses on Sunday 1st October at 23:59. To date more than 1,100 woodland owners, agents, foresters, and businesses have taken part in the British Woodlands Survey 2017. The responses received so far represent the views of those caring for more than 100,000 ha of woodland across Britain. Open until end September, we are hopeful that even more people with an interest in the future of forestry will take part before the survey closes. With specific sections for Scotland and Wales this year, Sylva Foundation and research collaborators are particularly keen to receive more responses from those active in these countries. We are also keen to hear from more businesses. It goes without saying that we are always pleased to receive more feedback from woodland owners and agents. British Woodlands Survey 2017 is open until end September. This week we held our second of four workshops across Britain with stakeholders, helping set the main themes for the next British Woodlands Survey to launch in the summer. Through a series of four stakeholder workshops we aim to shape the main ‘Themes’ of a survey which will be launched in June 2017. Each workshop builds on the outcomes of the last in an iterative process (see diagram below). The concept of identifying Themes is to ensure that the eventual survey questions focus on the most important issues of our time, as it is impractical to ask questions about every aspect of interest to all stakeholders. The Themes have arisen from previous research and workshops. Along with the GB-wide main Themes, we will allow Themes to emerge at each workshop which relate to country or regional issues. This second workshop (the first being held in Oxford) was kindly hosted by the Woodland Trust. We welcomed several private woodland owners, plus representatives from Woodland Trust, National Forest and Tilhill. Colleagues from the Social & Economic Research Group at Forest Research are attending each workshop to assess the effectiveness of the approach adopted and to ensure academic rigour. Next week we will holding our third workshop, this time at the Forestry Hub in Machynlleth, kindly hosted by Llais y Goedwig. 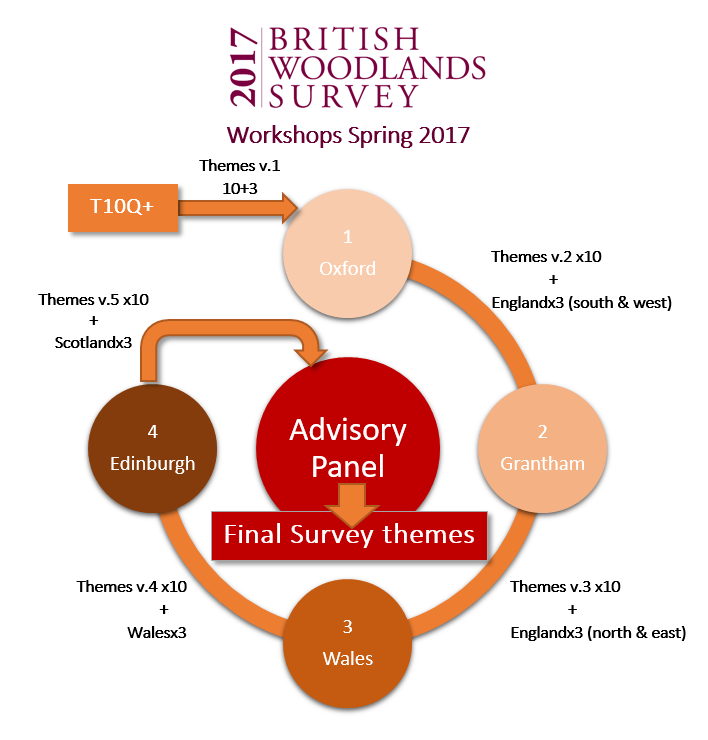 We are holding a series of workshops around Britain to help shape the 2017 British Woodlands Survey 2017 (BWS2017). If you are a woodland owner, forest manager, forestry business owner, land agent or have other related interests, and you are interested in helping shape the future of forestry, please read on. BWS2017 is led by researchers from Forest Research, Sylva Foundation, University of Oxford and Woodland Trust. Funding is provided by Scottish Forestry Trust, Forestry Commission Scotland, and Woodland Trust. Phase 2 – Attend a workshop to agree final themes & priorities. February/March 2017. Phase 3 – Contribute to the survey. June 2017. Phase 4 – Help review findings. September 2017. Each workshop will be lively and all participants will be fully involved in helping shape outcomes. Tea and coffee and a light lunch will be available. There will be no charge for attending. We hope that we will be able to find places for those who want to attend, but as venues are not large, we will aim to get a good balance of participants across the sector; once that condition is fulfilled, we will assign places by random selection. The team behind the next major survey about our woodlands — launching in June 2017 — wants to hear from anyone with an interest in shaping the future of forestry in the UK. This is an opportunity for you to shape the fourth in a series of important national surveys, which will contribute to the development of forestry policy and practice in the UK. Adopting a novel approach, the researchers are inviting participants to suggest important themes the survey should address. They are calling this ‘360-degree’ research, meaning that participants suggest the themes, then can help by contributing ideas and helping interpret findings. There will also be opportunities to take part in workshops around the UK. Phase 1 – Help shape the survey by suggesting priorities. September 2016. 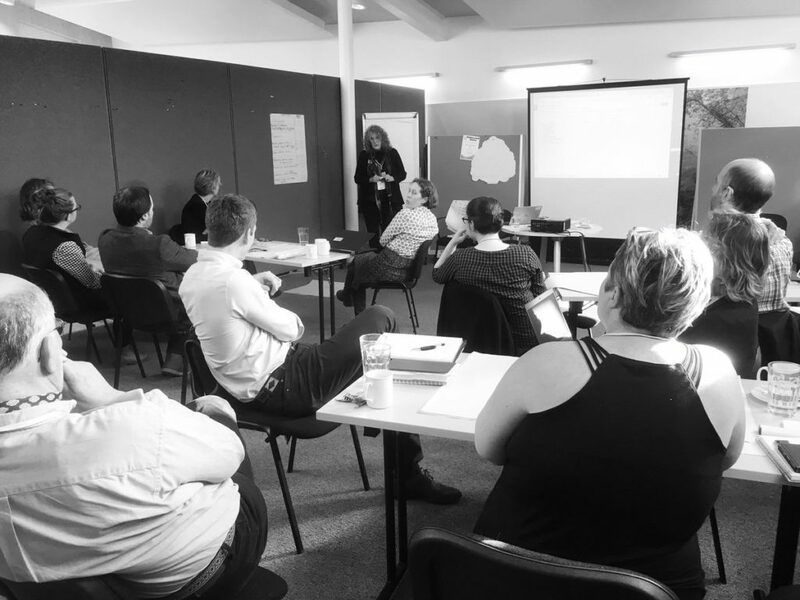 Phase 2 – Attend a workshop to agree final themes & priorities. February 2017. BWS2017 is led by researchers from Forest Research, Sylva Foundation, University of Oxford and Woodland Trust. Funding is provided by Scottish Forestry Trust, Woodland Trust and Forestry Commission Scotland. We are pleased to welcome a new addition to the Sylva team, Dr Zia Mehrabi. 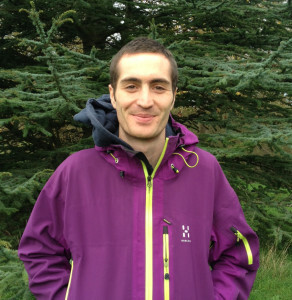 Zia is an ecologist from the University of Oxford working on ways to optimise ecosystem design for both productivity and environmental sustainability. 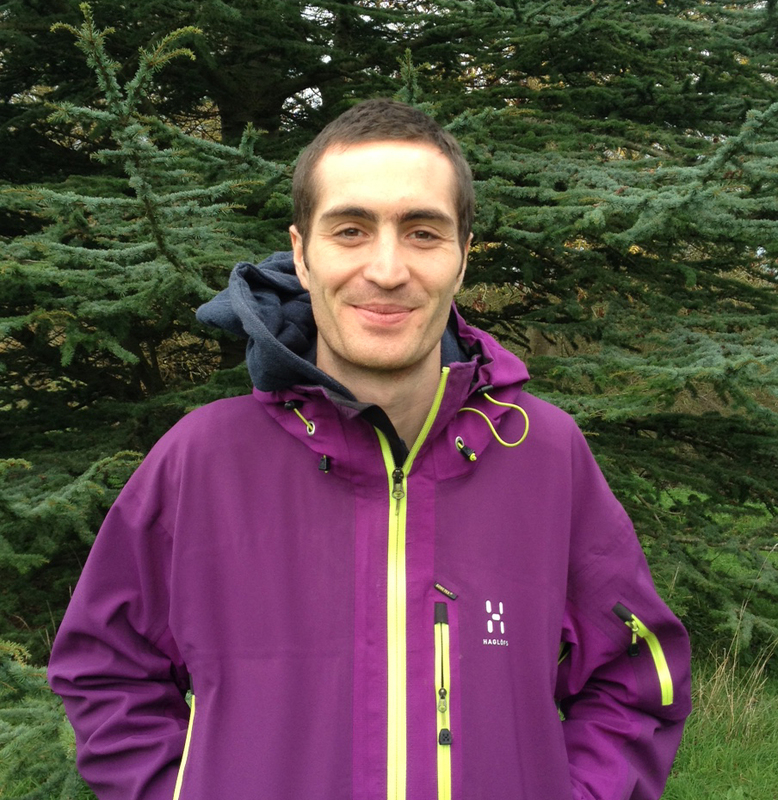 He is working with Sylva as a volunteer intern, funded by the BBSRC Doctoral Training Partnership internship programme. During his internship at Sylva, he will be helping to develop a strategy for monitoring the health of UK woodlands using the myForest service. This is an innovative tool that currently helps owners to map and manage their woodlands. Zia will be exploring how myForest could also provide a platform for monitoring how management activity can maintain biodiversity and support resilient woodlands. ‘Leaves on the line’ are a common rail problem during the autumn period in the UK. Fallen leaves each year from September to December create mulch like substances on the rail line making the rail head slippery. This slippery rail reduces adhesion between the track and the train wheel. The lower adhesion causes delays, trains to slip and not stop at stations which often results in changes to the usual timetable. 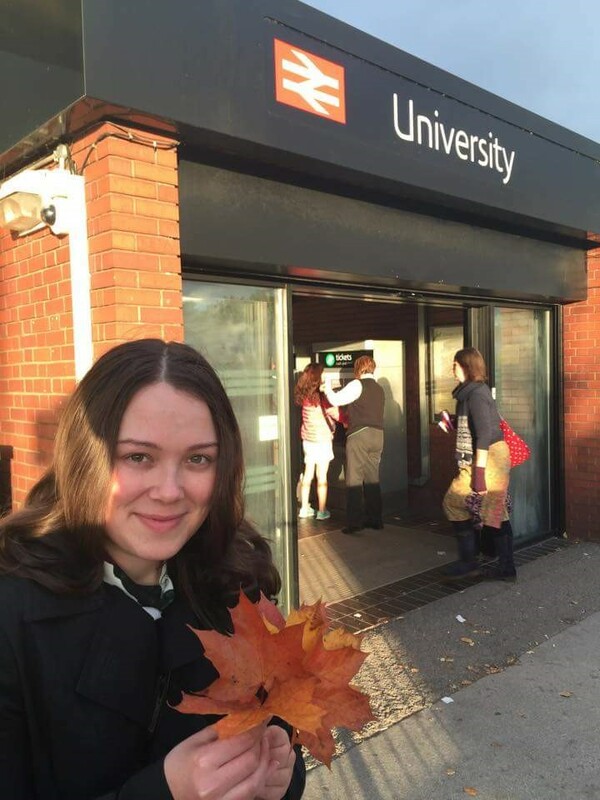 University of Birmingham PhD student Jennifer Kirby looking at the autumn leaf fall problem around the UK rail network. 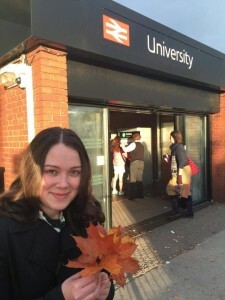 A PhD project, at the University of Birmingham, is investigating alternative ways of measuring leaf fall which could help reduce delays in the autumn period. In order to do this a team of volunteers is needed to measure leaf fall around the country. This will help to gain a greater understanding of when different tree species fall across the UK. Jennifer is therefore looking for volunteers who can spare 10 minutes, 3 days a week, to make observations about leaf fall in a local woodland area. These observations don’t need to be near a rail line. Volunteers will be sent an observation sheet. This is an Excel document that you can fill in with your observations. If you are interested in improving rail safety and taking a walk around local woodland areas then please help and get involved. If you are interested in volunteering or have any further questions about the project please get in contact with Jennifer (email: JXK067@bham.ac.uk). 9/10 woodland owners and other forestry professionals who responded to a national survey about environmental change in British woodlands say they had observed at least one form of impact in the past 10 years. Woodland owners reported increases in vertebrate pests such as deer and squirrels while among professional managers and agents, pathogens and pests were the most commonly-reported impact on the woodlands that they manage. More than 1470 people responded to the survey. The figures are among the first results revealed by a British Woodlands Survey on Resilience and are being announced today (1 Oct) at a Conference hosted by the Royal Forestry Society and Woodland Trust, Resilient Woods: Meeting the Challenges. Nearly three quarters (72%) of the UK’s woodlands are in private ownership. The survey provides an insight into how their owners; those who manage them and the nurseries who supply them are responding to potential challenges of the future through their planting and tree species choice. 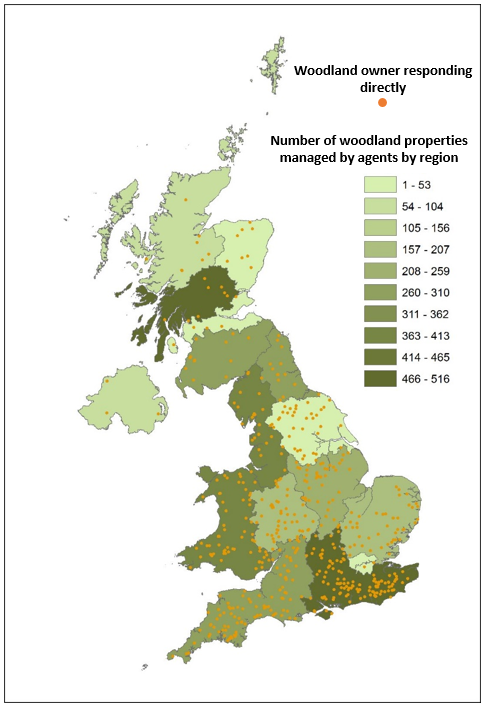 It captured the opinions and activities of those responsible for managing 11% of all privately-owned woodlands in the UK; an area covering 247,571 ha (equivalent to 245,606 rugby fields). The survey results emphasised that in the past only 44% had specified provenance (origin) when buying trees for new planting. This highlights there may be a lack of awareness of the importance of provenance, and tree genetic diversity in general, when planning resilient woodlands. 69% of owners stated a preference in future for sourcing material grown in UK nurseries, possibly reflecting recent issues around infected imported plants – ash dieback was originally identified in the UK on plants imported from nurseries in continental Europe. There also appears to be an appetite among private woodland owners towards a move from the current mix of native and non native tree species to a 6% increase in native species compared to non-native species. Such as change was not supported by forestry professionals. Looking to the future, most respondents believe that climate change will significantly affect our forests, although there is considerable uncertainty among private woodland owners among whom more than 50% are uncertain or don’t believe it will affect forests in the future. This is despite risks highlighted including flooding, drought, wind and fire. 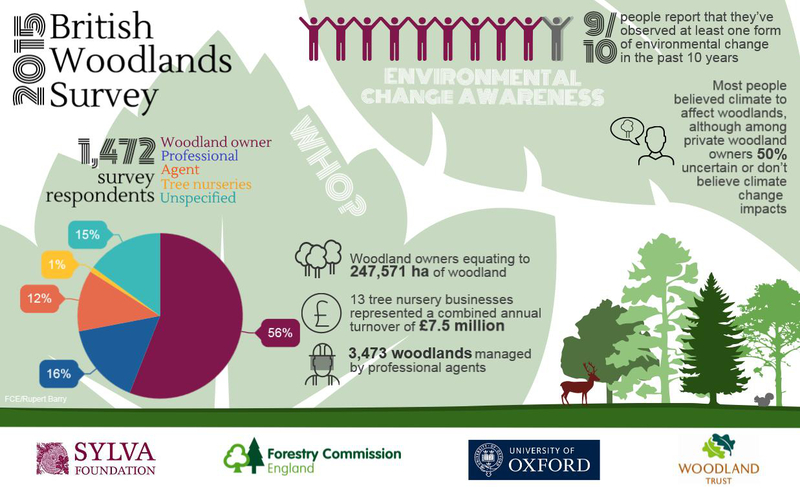 Of the survey respondents, 821 (56%) were private woodland owners, with professional agents responsible for managing 3473 woodlands and 13 specialist tree nurseries with a combined annual turnover of more than £7.5m also taking part. The information from the survey will be used by organisations, policy makers and researchers to help improve the resilience of the nation’s forests, and how better support can be provided to woodland owners and managers. The results will also inform the government’s National Adaptation Programme for England. The Woodland Trust is the largest woodland conservation charity in the UK. It has over 500,000 supporters. The Trust has three key aims: i) protect ancient woodland which is rare, unique and irreplaceable, ii) restoration of damaged ancient woodland, bringing precious pieces of our natural history back to life, iii) plant native trees and woods with the aim of creating resilient landscapes for people and wildlife. Established in 1972, the Woodland Trust now has over 1,000 sites in its care covering over 22,500 hectares. Access to its woods is free.